So you found the perfect wine, and now what? You need a delicious recipe to go with it of course. If you’re anything like me you love a great wine + food pairing. However, I’ll be honest I’m not really great at figuring out what goes with what. Luckily the folks at Montecillo invited the professionals to do all the hard work for us! 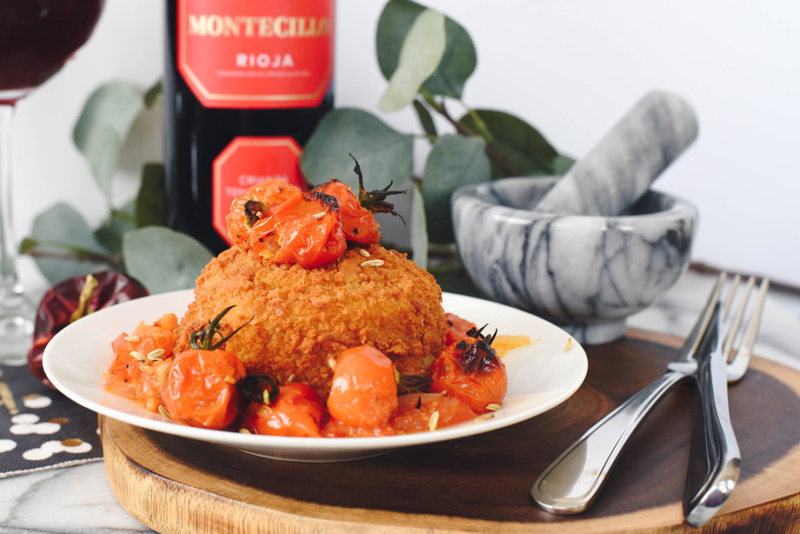 While the Montecillo Crianza Rioja wine is really food freindly (it’s delicious as is) I’m definitely interested in any recipe that’s going to enhance the flavour! Clear ruby red colour; cherry and spice aromas with a hint of vanilla; rich chocolate cherry flavour, and a well balanced smooth finish. 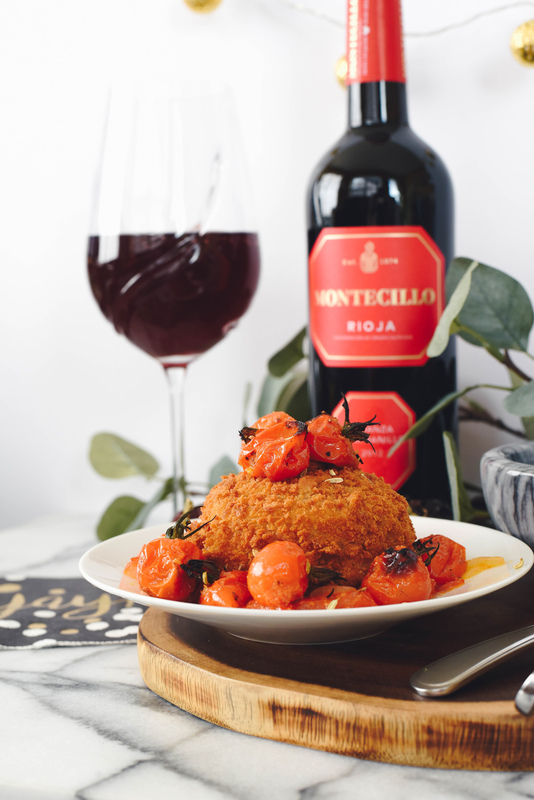 What’s not to love about the Montecillo Crianza Rioja? 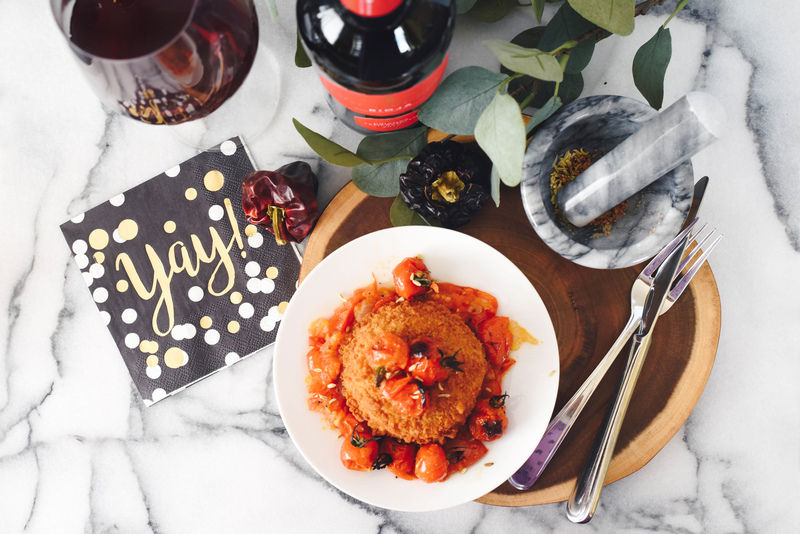 Quickly gaining momentum as a must-try wine I was recently invited to try this perfect wine + recipe pairing. Controlled alcoholic fermentation on a temperature of 24ºC, in contact with the skin for 12 days. Spontaneous malolactic fermentation in underground storage tanks, and afterwards racked in semi-new American oak barrels of the highest quality for 18 months. The wine afterwards stays in bottle for 6 months before leaving the winery. COLOUR: Of intense cherry-red colour and medium-high robe, very clean and vivid which indicates its youth. AROMA AND TASTE: On the nose, it is very potent, fruity, sweet, on a very clean background of American wood with coconut and tones of blackberry in the finish and a touch of eucalyptus which makes it more profound and complex. In the mouth very widely ranged and expressive, it has perfectly integrated the combination of stewed fruit compote with wood. A long aftertaste where wood of an excellent quality predominantly appears and wraps around the ripe, outspoken and explosive fruit. 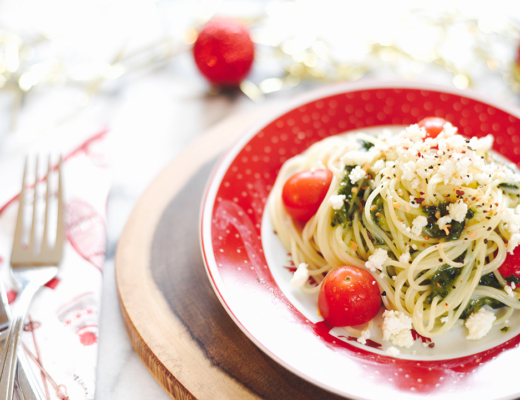 Ideal with stews, sausages and any type of meat and roasts from the Mediterranean cuisine. Serving temperature: 18ºC. *To learn more about this wine or the Montecillo brand please visit their website, or click here. Full disclosure I cannot take credit for this recipe! And while I’m not really one for salted cod it was actually SO delicious and paired so perfectly with the wine. 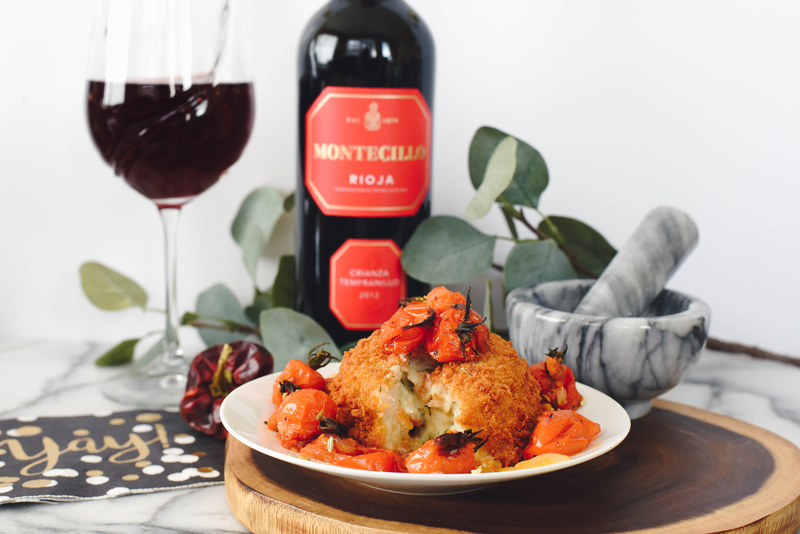 Recently Montecillo partnered with two Canadian chefs to put their twist on classic Spanish dishes to pair them with two varietals from the Montcillo wine brand (yep! there will be a part two to this post). 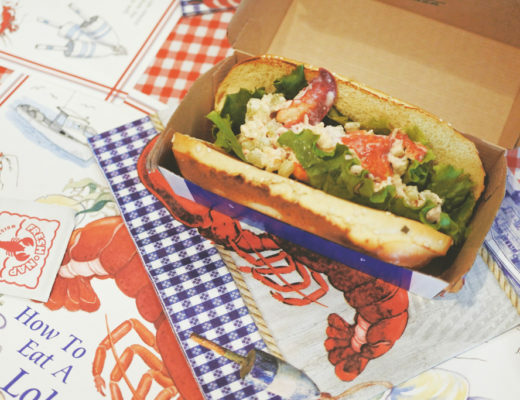 Today’s recipe is courtesy of Chef Charlotte Langley, Chef and Culinary Curator at Scout Canning and Scout Events. Because I was enjoying this recipe myself, and I was short on time (hello story of my life) I didn’t make as many croquettes. I simply made larger ones to enjoy almost as a meal. This recipe was SO yummy, and it couldn’t have worked out better because I had a bunch of tomatoes given to me by my boyfriend’s dad’s that were picked fresh from his garden. The garlic and onions were the perfect combination for the croquettes. 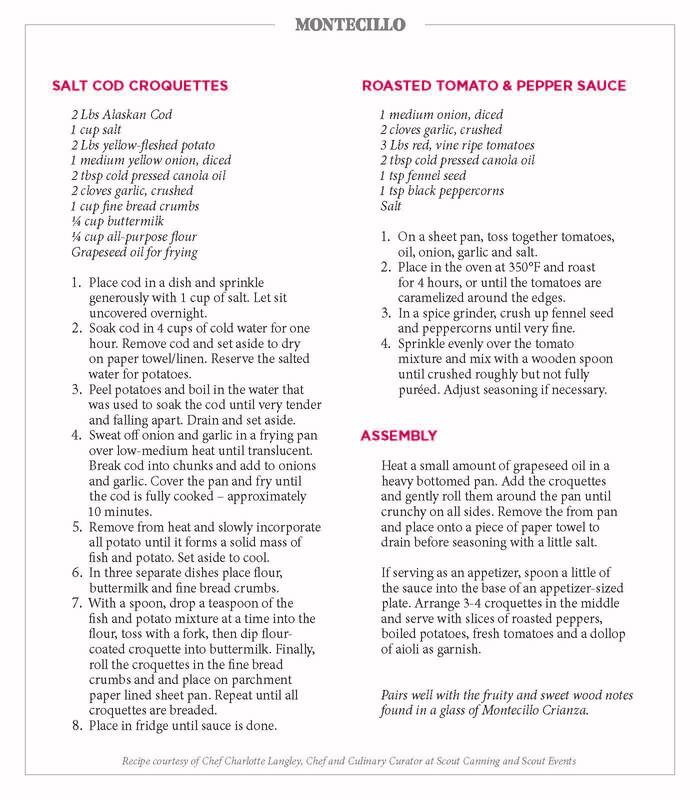 I really enjoyed this recipe. 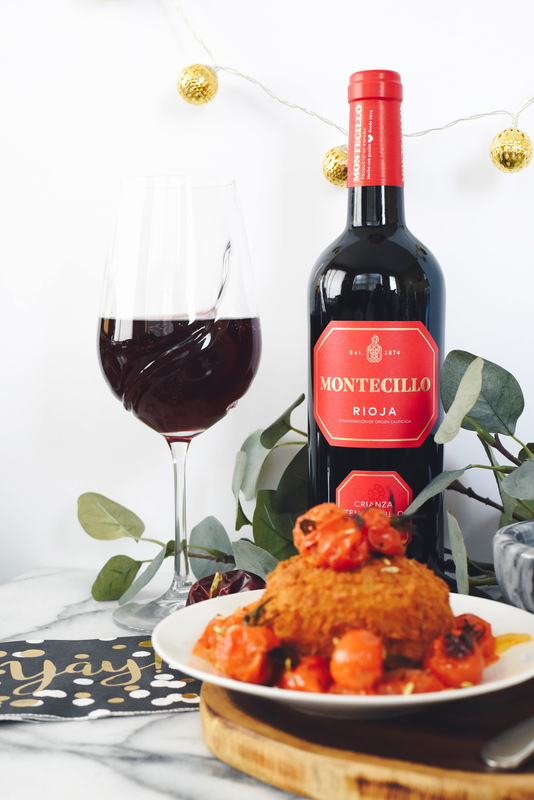 The Montecillo wines are available at NSLC and LCBO‘s alike, and due to it’s food (and wallet) friendly nature I think it would make a great gift too! As mentioned above the Montecillo Crianza Rioja was SO delicious, and really food friendly. 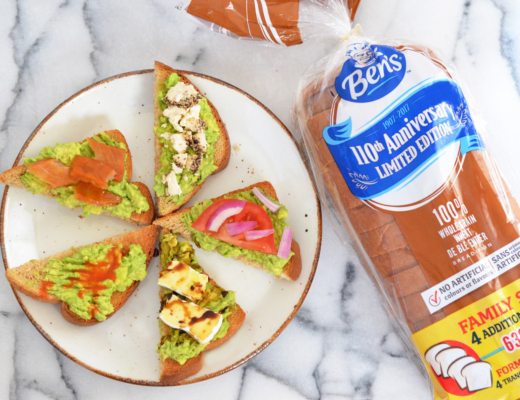 I have to say I really enjoyed this food + wine pairing, and I’m really looking forward to serving both at my next get-together. Stay tuned for another food & wine pairing with Montecillo coming soon. *This post was sponsored by Montecillo, however all opinions expressed are my own.